The Lovely Table Contest: Isn't It Lovely? D Weddings is pleased to present the winners from the first Lovely Table Contest, a friendly competition in search of the most beautiful tablescapes in town. Last August, we called on our talented local vendors to team up to design a wedding-inspired table setting. 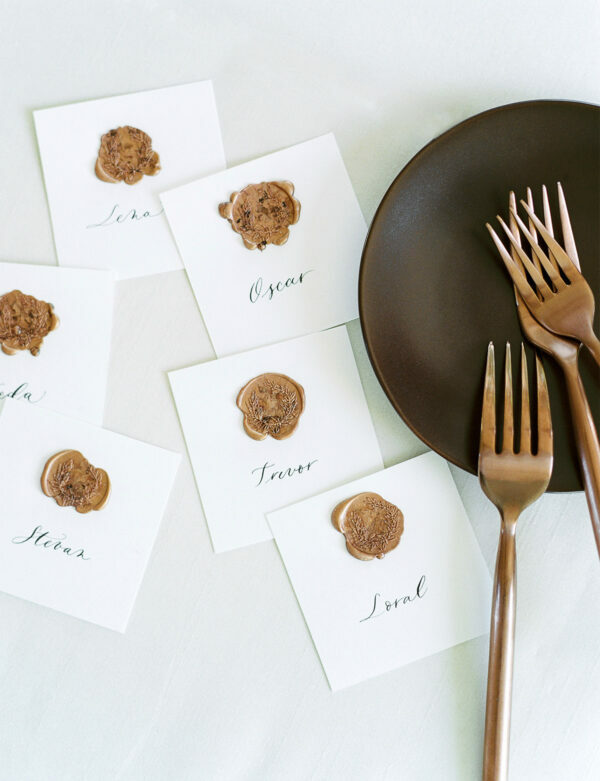 The rules: Designs could not exceed a bride’s budget of $1,500 per table, and each team had to include proper place settings, whether formal or informal. Twenty-four tables were submitted, and we put them on dweddings.com for readers to vote—62,000 votes were cast over a two-week period. We tallied them up and named a “readers’ choice” winner. However, we were so inspired by the submissions, the D Weddings team chose four more “editors’ choice” tables to share with you here. Congrats to the winners—your work is truly lovely. Pop Parties owner Molly Rasmussen’s winning table design started with an impressive chandelier. “The cityscape shoot was designed around an existing chandelier structure, which serves as ambient lighting for the rooftop event space at 400 North Ervay,” she says. Playing off the city’s landscape, Molly and her team of vendors designed with “soft textures of navy linen and a steel-colored banquette seating to accent the sharp lines from neighboring buildings.” Lush floral arrangements, graphite flatware, gemstone napkin rings, and silver dinnerware accent the blue and silver hues. It’s alfresco dining at its best. Lindsey Zamora elevated the look of this “minimal-modern-organic” table with a sophisticated color palette. And we fell in love with the smart addition of the knotted napkin, which is paired with a vellum menu and handsome place cards. “The color and pattern of La Tavola’s Wavering Citrine linen inspired this table,” says planner Kirstin Godat. The “eclectic and traditional” look caught our eye, with the right mix of blue-and-white china, green water glasses, and monochromatic florals. The 316 Design Source team nailed the look of mixed metals for this head table. They opted for acrylic accents, gold flatware, and unique floral stems—including dusty pink spray roses—to soften the look of the “strong and graceful” tablescape design. 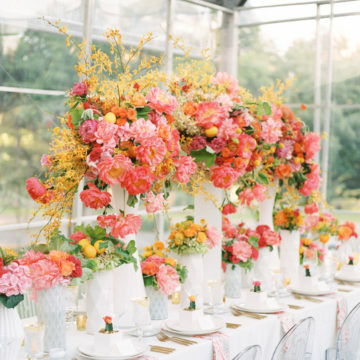 Don’t overlook the power of a vibrant accessory when designing your wedding day palette. “Most people only think of color on linens or flowers, but we were inspired by this red chair,” says Sara Fay Egan. 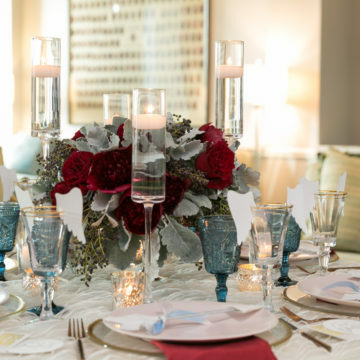 Jackson Durham knows that when using a bright hue as an accent, keep the rest of the details refined, like the blue-and-white chinoiserie table linen, striped napkin, and elegant floral arrangement.